The Magic of Motown is coming to the Grand Theatre, Wolverhampton on the 13th July with its all-new Reach Out 2014 Tour and we have two pairs of tickets to see the show to give away. The Magic of Motown 2014 Reach Out Tour brings to the stage 36 chart toppers back-to-back in one critically-acclaimed production. 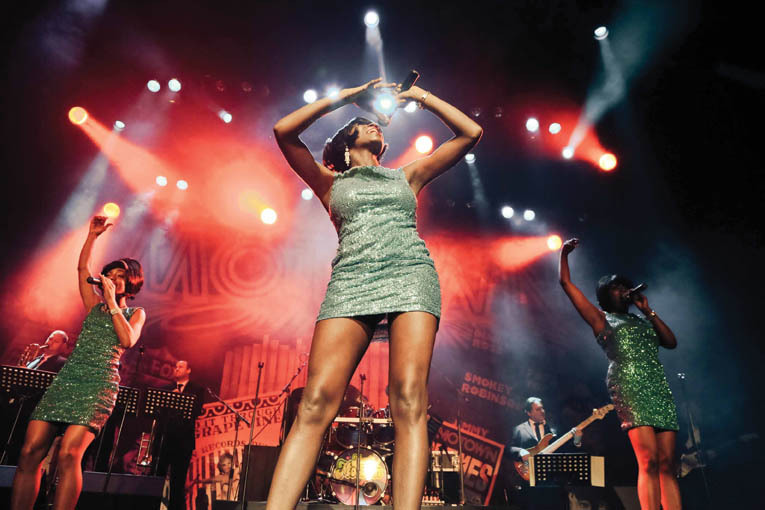 Direct from the USA, The Magic of Motown delivers five-star performances that authentically revive the style and sophistication of everyone’s favourite legends from the famous, Detroit-based record label. This year more number one songs than ever before feature. Classic hits from the Temptations, Four Tops, Jackson 5, Stevie Wonder, Marvin Gaye, Lionel Richie and The Supremes are packed into the two-hour spectacular. To enter please answer this question: In which American city was the Motown label based? Send your answer by email to competitions [@] fusedmagazine.com with your name, address and daytime phone number putting MOTOWN in the subject box. Closing date: 1/7/14. Winners will be notified within 2 days of the closing date. There is no cash alternative. This entry was posted in Live Music, Music, Performance, Theatre, Wolverhampton and tagged Grand Theatre, Motown Show, WIN TICKETS TO THE MAGIC OF MOTOWN’S REACH OUT® 2014 SHOW, Wolverhampton. Bookmark the permalink.